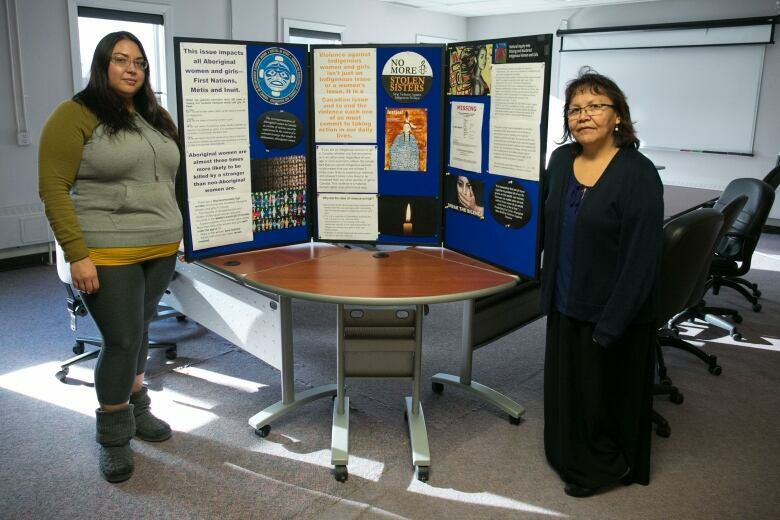 Missing and murdered Indigenous women from the North being commemorated in a new art exhibit being developed by the Native Women’s Association of the Northwest Territories. Kathy Meyer thinks about her daughter Angela every day. She wonders where she is and what has happened to her. Angela Meyer disappeared from Yellowknife on Nov. 27, 2010. The 22-year-old Inuk woman was having trouble with mental health issues. That afternoon, she stepped outside for a smoke. Her family has not seen or heard from her since. 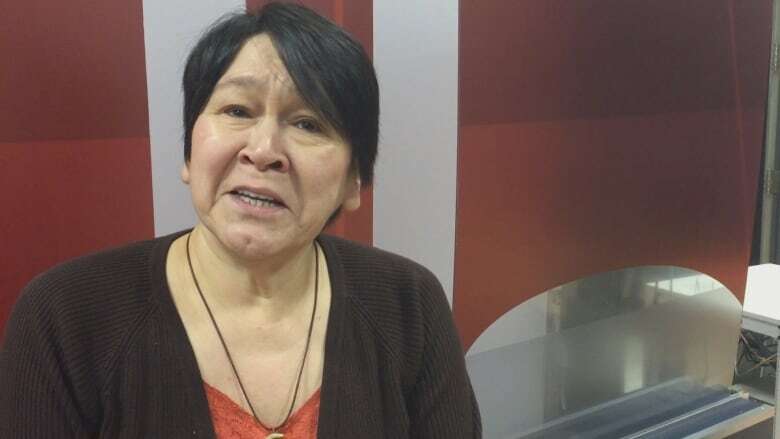 She is one of the many missing and murdered Indigenous women from the North being commemorated in a new art exhibit being developed by the Native Women's Association of the Northwest Territories. "This is a good way to show that we still love our missing daughters, sisters, mothers," Meyer told CBC News. "I think it's wonderful. I'm going to be making a heart myself." People across the North are encouraged to make a felt heart and send it to the women's association for inclusion into a tapestry that will be unveiled at the next Sisters in Spirit Walk in October. "To talk about it, I think brings a sense of relief for the moment," said Meyer. "When we talk about it, we keep her memories alive most importantly. [Angela] is part of our family." Beadwork is common in Northern art, used by talented artists throughout the territories. About a dozen beaded hearts have been collected so far at the Native Women's Association, with submissions coming from Tuktoyaktuk, N.W.T and Old Crow, Yukon. "Everyone knows someone who's gone missing, it's touched everyone," explains Marie Speakman who works in victim's services at the women's association. Speakman first developed the beaded hearts idea for the North, taking a variation on other memorials that have begun across Canada. Though red dresses and empty pairs of shoes have become symbols for missing and murdered Indigenous women in Southern Canada, the beaded hearts will specifically be for women of the North who've gone missing. "Some of these cases have gone unsolved for more than a decade. This is a way for us to show we haven't forgotten about them," said Mishelle Lavoie, one of the project's organizers. "We're not just numbers up here," Lavoie said. "People need to realize we have a voice. That we are people, we can contribute to our community and have been for so long." Kathy Meyer says her felt heart will show her ongoing love for Angela — and support for all the women who've gone missing. "I'd like to convey the message that we think of Angela every day," Meyer said. "That she is very alive in our hearts and that we miss her very much."